This was from way back in the winter when I went for my xiaolongbao marathon and discovered the transcendence that was Sincere's hongshaorou. 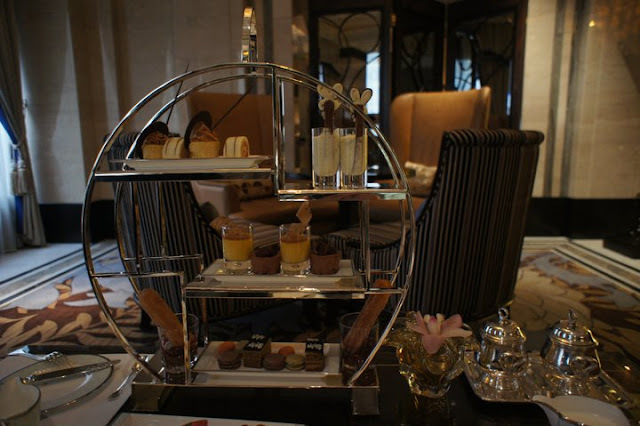 But as I was writing about tea at the InterContinental Hong Kong, I suddenly remembered this failure of an afternoon tea at Jasmine Lounge, on the ground level of the Fairmont Peace Hotel. 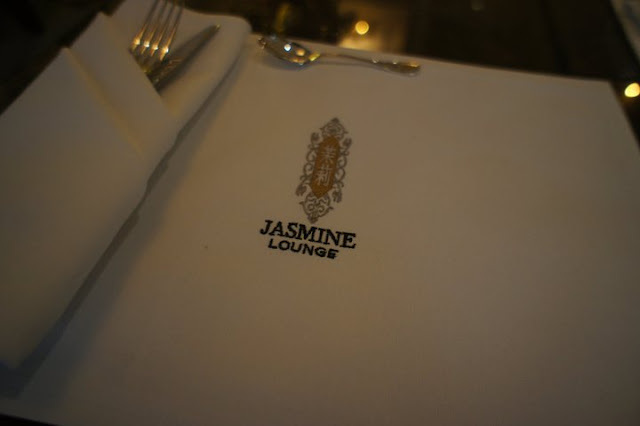 Decent enough service, but the food was plain bad (aside from maybe the scones and some of the savouries). Not cheap either. Why bother when you have so much else waiting to be eaten and explored. 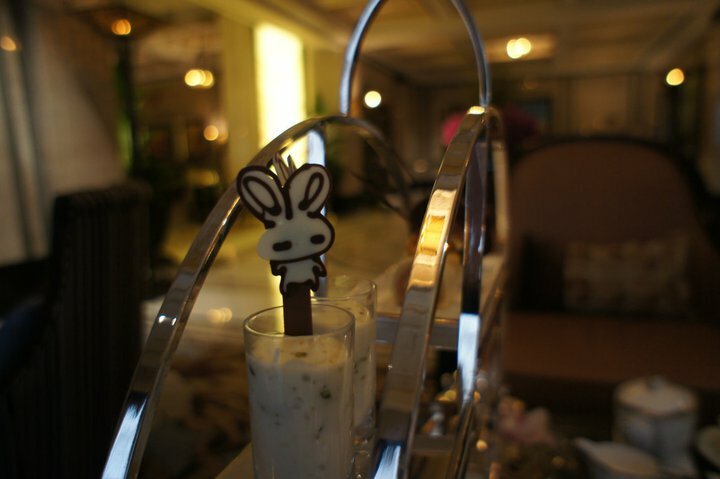 That cream-looking thing in the tall glass with a bunny in it? I don't know what it was supposed to be, but in my mouth it was bland tepid cream. It's all a bit sad, because The Peace Hotel was known for its Shanghai deco-glam decadence, a place supposedly filled with beautiful people, drinks and food. A destination of some people's dreams. The reopening by Fairmont was passable on the decor front, but seriously guys, food should not be like this at a five-star "international" chain. (Oh, and they wouldn't allow pictures of the decent looking lobby). 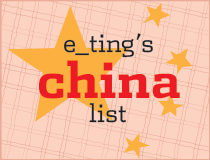 This is probably as good as a five-star China chain. If they served Mao this he may have ordered the hotel's entire staff to be executed. He'd burn the place down for blatant displays of bourgeoiserie anyway. 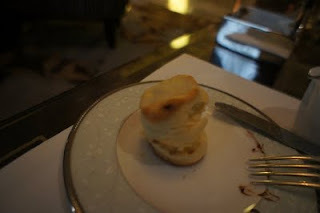 I leave you with an out-focused photo of my scone, ironically the only thing that was passable. 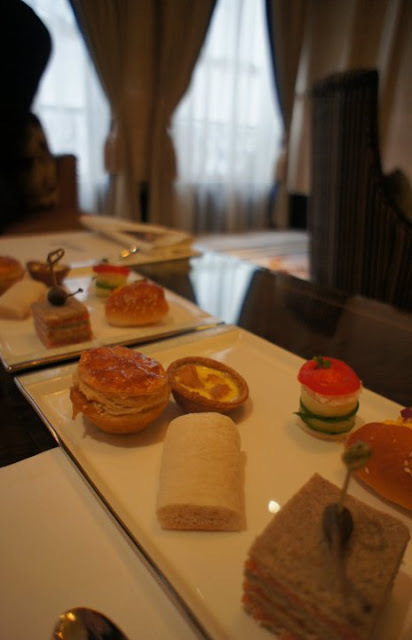 While checking the website for the address, I noticed that they call this a "Classic High Tea". How many times do Asians need to be told that an afternoon tea is different from a high tea? Urgh. I normally don't like the food in Shanghai except those in the huge multi story restaurants. Not surprised that the tea is not good, as Shanghai has a lot to do before it can catch up to Hong Hong regarding food. 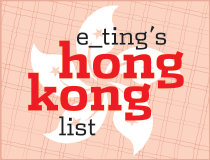 I was born in Shanghai but when my husband received job offers from Shanghai and Hong Kong, I picked Hong Kong because of the food and culture even though the pay was better for Shanghai. Some things cannot be bought with money. Is that the hotel with the Long Bar or is it that that other one at the end of the Bund? I actually quite liked that bar. Thanks Kelly! I think I got all excited about the hotel as the Peace has so much history behind it. Sigh! Tom - Long Bar is at the Waldorf Astoria, I believe. Heard the tea there is actually good! Cream, yeah, what was I thinking.